Manawatu, on North Island, is the beating heart of New Zealand - an agricultural powerhouse in a stunning landscape of rivers, volcanic plateaus, mountain peaks and steep ravines. The area's farming tradition means its plentiful holiday accommodation can often be found on homesteads and farmstays, giving visitors the opportunity to experience New Zealand life as it's been lived on the land for generations. The name Manawatu is a conflation of two Māori words, meaning "heart standing still", referring to the words uttered by the explorer Hau when he saw the mighty Manawatu River for the first time. The landscape of the region is a varied one - it is bordered by the Tararua and Ruahine mountain ranges with the spectacular Manawatu Gorge dividing the region. To the south is a coastal landscape that's flat, to the north of Palmerston North is a more hilly country of rivers, sea and ranges. Sheep, beef and deer farming are plentiful here and the pastoral farming that has made the region is reflected in the agri-foods research base developed by Massey University in Palmerston North. Farm stays offering holiday accommodation are a wonderful way to experience Manawatu life, and one of the best places to find great holiday rentals is around the Rangitikei river valley. 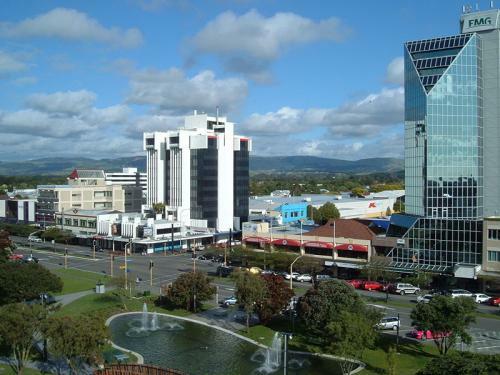 Palmerston North is a charming town with a large student population, with over 70 research and educational institutions, and with boutique shopping and super restaurants, it is a great base for exploring Manawatu. 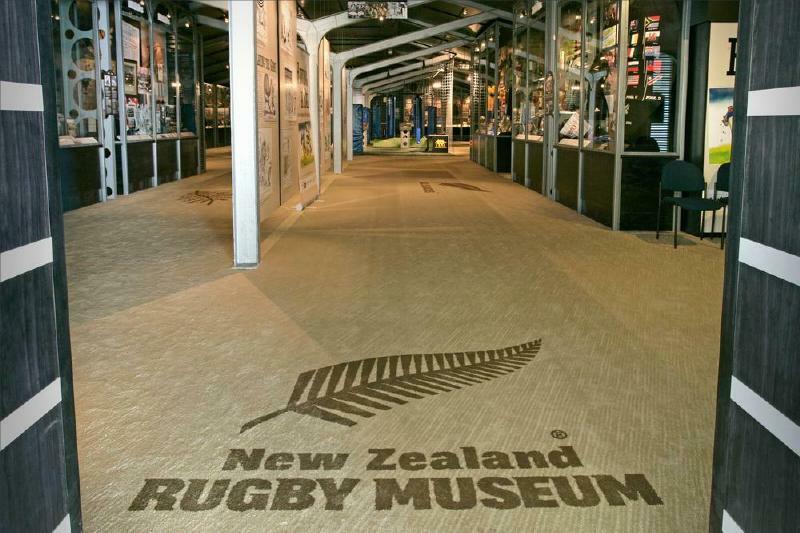 It is also the home of the National Rugby Museum, dedicated to New Zealand's most popular sport and to its world-renowned team, the All Blacks. The museum has a collection of rare artefacts and there's even a "have a go" area where you can try and follow in some famous rugby footsteps. Close to Palmerston North is the town of Feilding, voted New Zealand's most beautiful town an amazing 14 times, thanks to its magnificent public and private gardens. The best day to visit is on Fridays when the farmers' market and authentic yard sales take place. 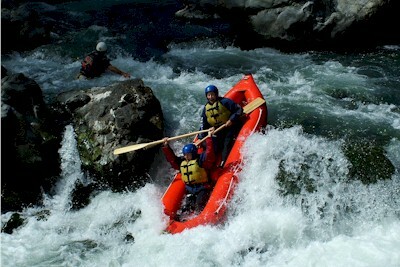 The Rangitikei River is the fourth longest in New Zealand and is a quite stunning sight of deep impenetrable gorges. 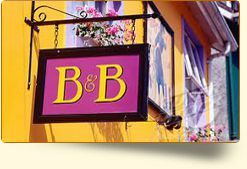 The river buzzes daily with a fabulous selection of activities, from fishing to swimming, white water rafting to scenic cruises. 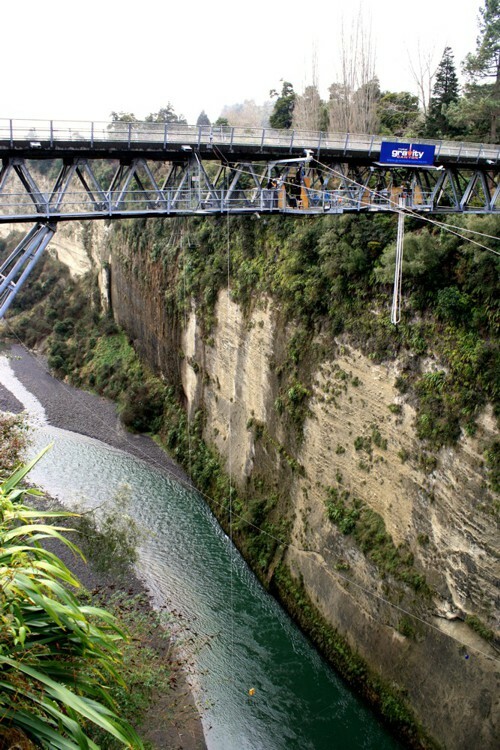 And for the thrill seeker, there's the opportunity to go bungy jumping, both here and at Mokai Gravity Canyon - if your nerves can handle it. For more sedate outings, heading for the Coach House Museum in Feilding, which features an extraordinary collection of vehicles and farm machinery showcasing 140 years of rural New Zealand history. More amazing culture is on view at Te Manawa, in Palmerston North, a combination of museum, art gallery and interactive science centre with hands-on, interactive shows and constantly changing exhibitions. 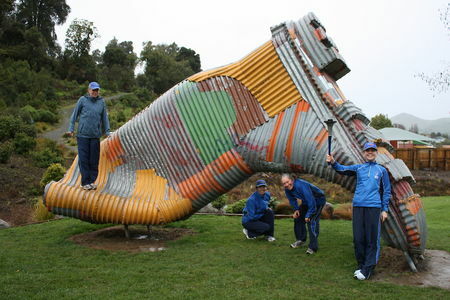 And for culture with a sense of humour, it has to be Taihape, the "gumboot capital of New Zealand". The town hosts an annual festival dedicated to celebrating the humble gumboot, an essential piece of rural footwear for Kiwis. The festival highlight is competitive gumboot throwing, which is as endearingly daft as it sounds. The Manawatu region has a moderate climate with few weather extremes. During the summer months, expect maximum daily temperatures to top 30°C, while winter days average around 12°C. Summers are mainly dry and sunny. There are regular scheduled flights from around New Zealand to Palmerston North International Airport, which is just 10 minutes from the centre of the town. 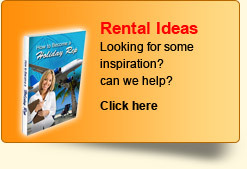 The best way to see as much of Manawatu as possible is by car and car rental can be arranged when you're booking your Manawatu holiday accommodation. Palmerston North is on the Overlander rail route with regular services connecting the town to Auckland and Wellington, and there are also inter-city coach and local bus services available to transport you around the region.